PRISCILLA DUPLAGA, 89, passed away August 2, 2012. Wife of the late Bennie C., sister of the late Paul Berta, daughter of the late Paul and Susie Berta, loving mother of Bennie P. (Rita) and Susie Lawrence. Dear grandmother of Nikole, William (Marybeth), Kimberly, Robert, Michelle and Joseph. Dear great-grandmother of Jamie, Steven, Bailey, Quinn, Devan, Emma and Haven. She worked various jobs including her favorite being employed at the Bomber Plant, now the I-X Center, as Rosie the Riveter. She enjoyed crocheting, gardening and spending time with loved ones, friends and neighbors. She will be dearly missed. In lieu of flowers, contributions can be made to Southwest Hospice, 18659 Drake Road, Strongsville, Ohio 44136. WARD, ROBERT D. "Uncle Bobby"
ROBERT D. WARD “Uncle Bobby,” age 52, passed away July 26, 2012. Memorial service August 4 at 11 a.m., St. Augustine Church, 2486 West 14th Street, Cleveland 44113. Margaret Anne “Peggy” Hess, 57, passed away July 26, 2012. Loving mother of Robert Townsend, beloved sister of David Hess. A loving and caring soul towards others. Devoted Indians and Steelers fan and lover of all animals. She will be dearly missed. Memorial service to be held at a later date. 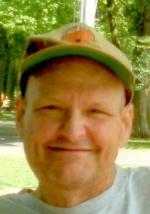 JAMES NEILL PUCKETT, age 81, passed away peacefully July 31, 2012 surrounded by his family. Beloved husband of 52 years to Berlene (nee Lewey), dear father of Connie Brittain (Brian), Carol Meade and Shawnee Puckett, loving grandfather of Allison Meade. 30-year Ford Motor Company retiree. Private services. Interment Sunset Memorial Park. GERI MYERS, 57, passed away July 28, 2012. Beloved wife of David, mother of David Lee, Jenifer Irene and Samantha Ann. Family will receive friends Thurs., August 2, beginning at 1:30 p.m. at the funeral home where a service will be held at 2 p.m.